Some site lists and libraries contain sensitive information, such as projected marketing campaigns or human resources initiatives. 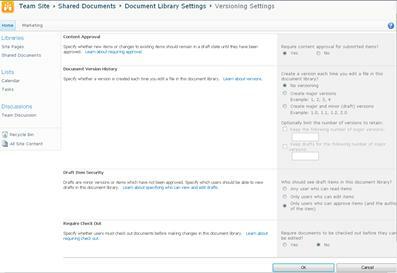 It can be important to have only “official” versions of items or files viewable by users. To accomplish that, some organizations establish a moderator who can review and approve the items or files before the content becomes visible to most site users. The moderators can apply a significant level of quality and security to the content in the lists and libraries. Important If security in the site library is configured to allow any user to read items, then anyone who has Read permissions to the site can see all items in the list or library, whether or not the items are in Approved status.